I love to put together a beautiful meat and cheese board. Some of my friends would call me a little fanatical about it! This past week we spent the weekend in Healdsburg. We had the most amazing time, which you can read about here! We made the most of our spacious accommodations and spent Saturday night in. 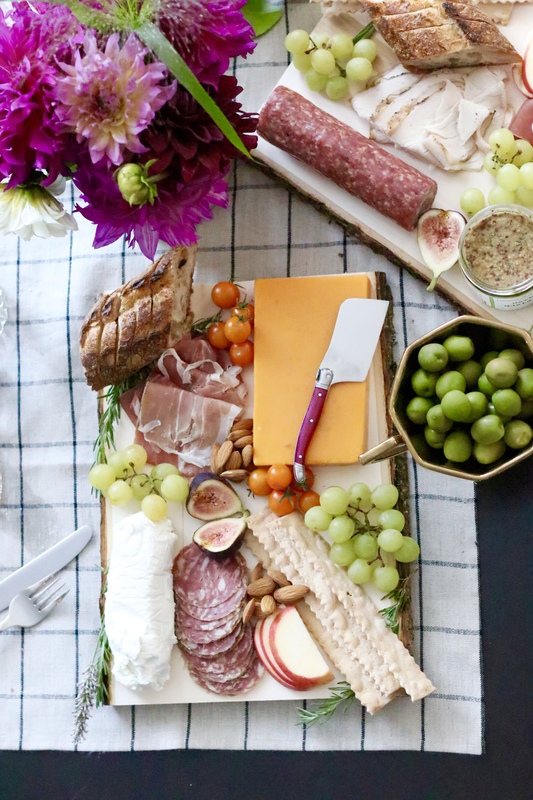 And it was the perfect venue to create a beautiful charcuterie board! 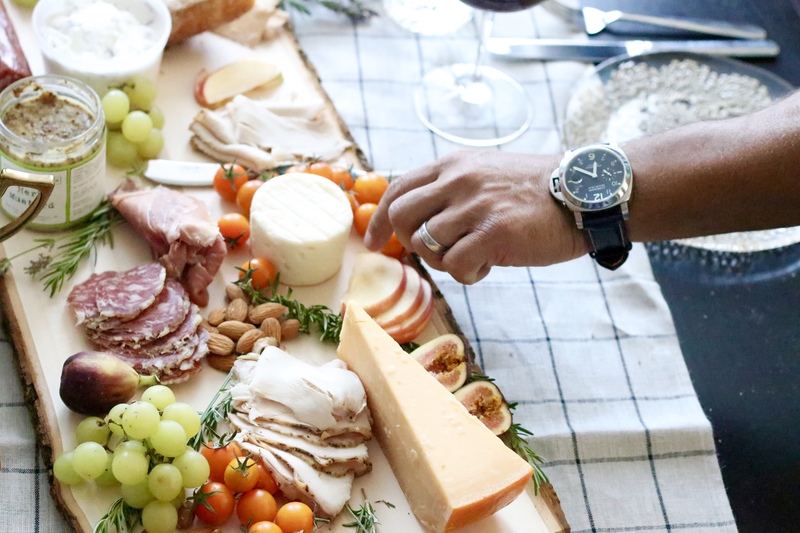 You may be wondering what exactly is a charcuterie board. According to Merriam-Webster.com a charcuterie is “a delicatessen specializing in dressed meats and meat dishes”. 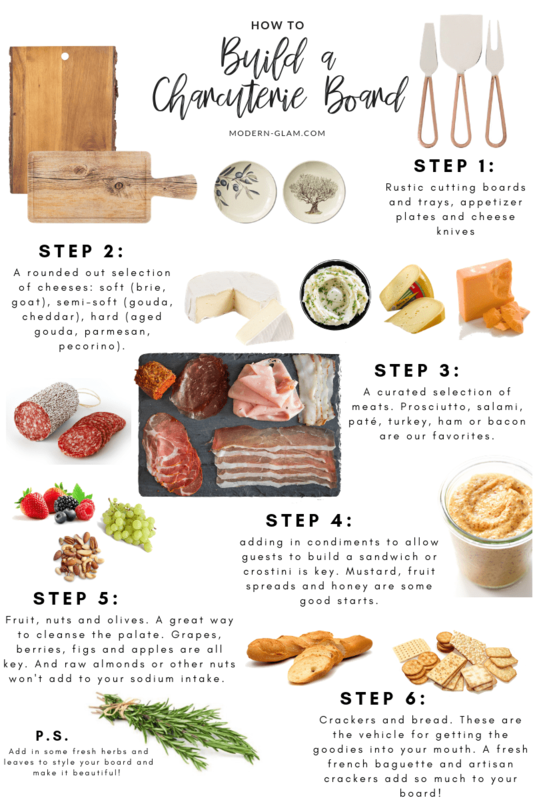 So, essentially, a charcuterie board is a platter filled with cured meats, artisanal cheeses and some yummy snacks. In my opinion, it is the perfect appetizer! To start, you need a really great foundation. I found these amazing pieces of wood at my local craft store for under $10! They are intended to be used for crafting, but when I saw them I knew they would be perfect for my charcuterie boards! I simply rinsed them off with warm water and they were good to go! 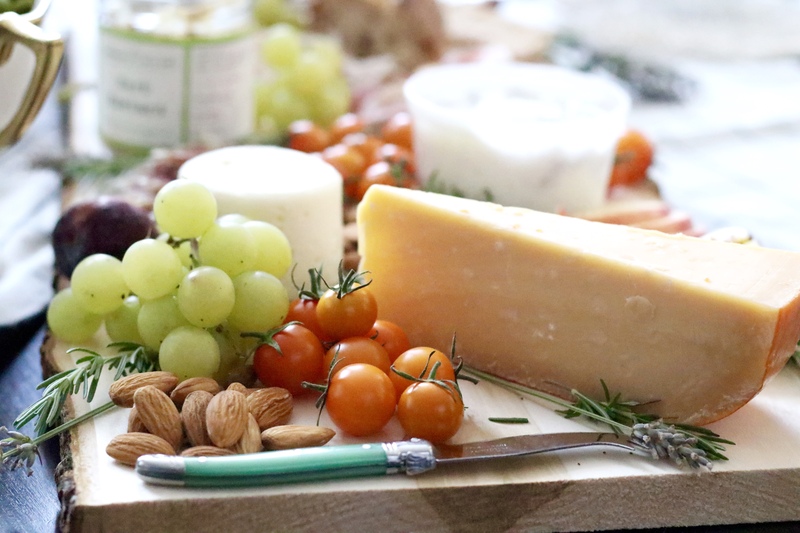 I also love to use marble cutting boards or vintage silver trays. You can literally use anything you have on hand. The flatter the surface the better though. Buy a nice selection of cheeses. I usually like to do a Brie of some sort (goat’s milk brie is one of my favorites). And a gouda or swiss along with an aged cheddar make a lovely mix! A general rule of thumb is to get one soft cheese, one firm and one hard cheese for your charcuterie board. Don’t think too hard about it and ask someone who works at the store to help you. They usually have wonderful suggestions! Leave the cheese uncut and allow guests to slice off chunks to their liking. 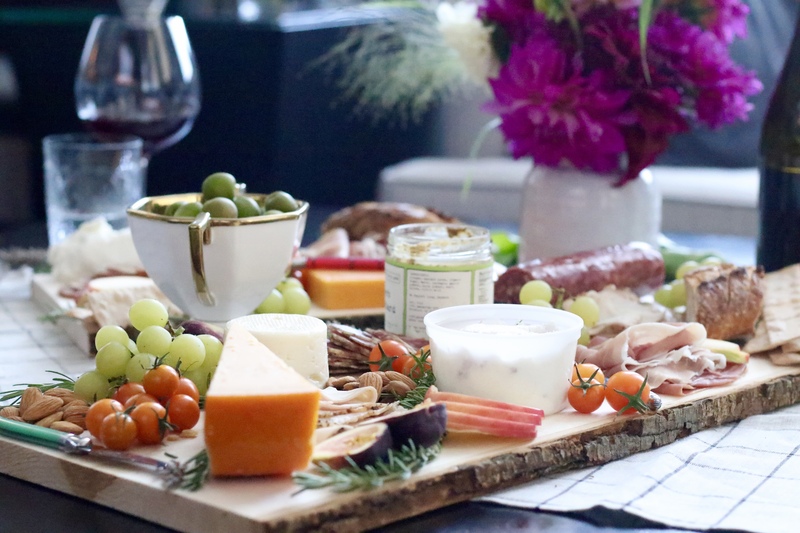 Provide a rounded out selection of meats for the charcuterie board. Prosciutto, salami, speck, coppa and chorizo are my go-tos. Along with the usual suspects I like to add in a quality sliced herb-roasted turkey. Having this variety allows for all guests to enjoy a little bit of everything! Condiments! 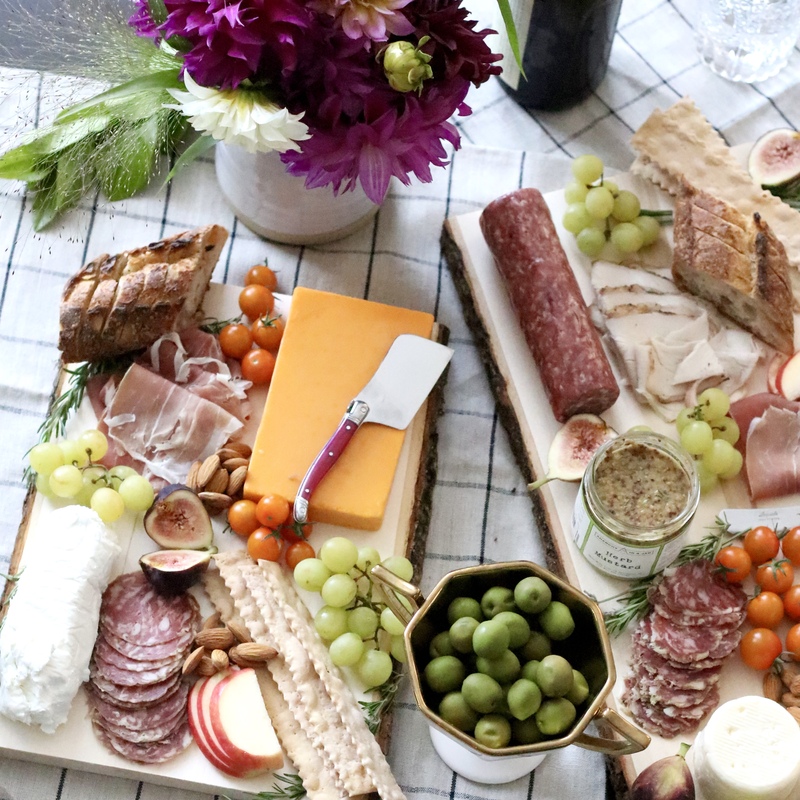 This is where you can add in some fun gourmet spreads and mustards to your charcuterie board. I like to use a whole-grain mustard and local honey as well as a fruit spread. The mustard allows guests to create mini sandwiches if they choose. And the honey is so good drizzled on a piece of cheese! The condiments are like jewelry to your charcuterie board. They really top it off! 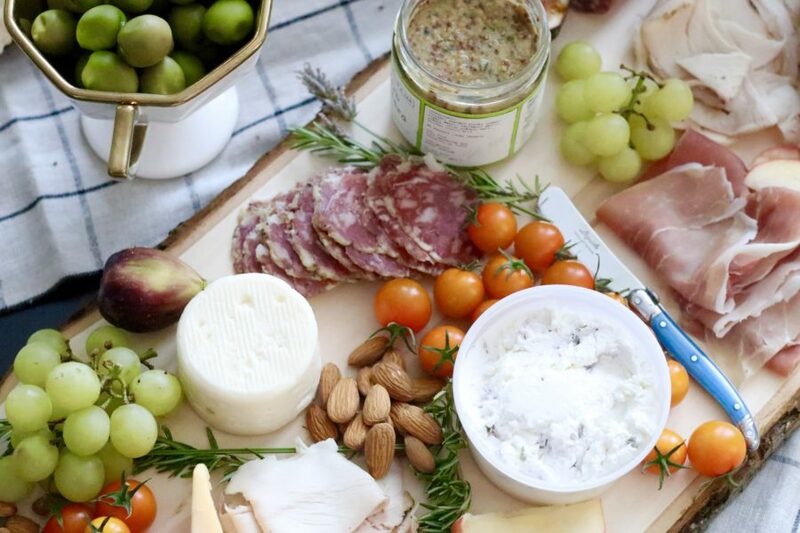 Fruits, nuts and olives are essential to the charcuterie board! A crisp sweet apple sliced up tastes amazing with a piece of aged cheddar on top. Not only is fruit a compliment to the meats and cheeses, they taste great on their own. And they are a great way to cleanse your palate. Unsalted almonds and cashews are nice to offer, along with a selection of olives. Add in some veggies too. Marinated or fresh work great! The carbs! 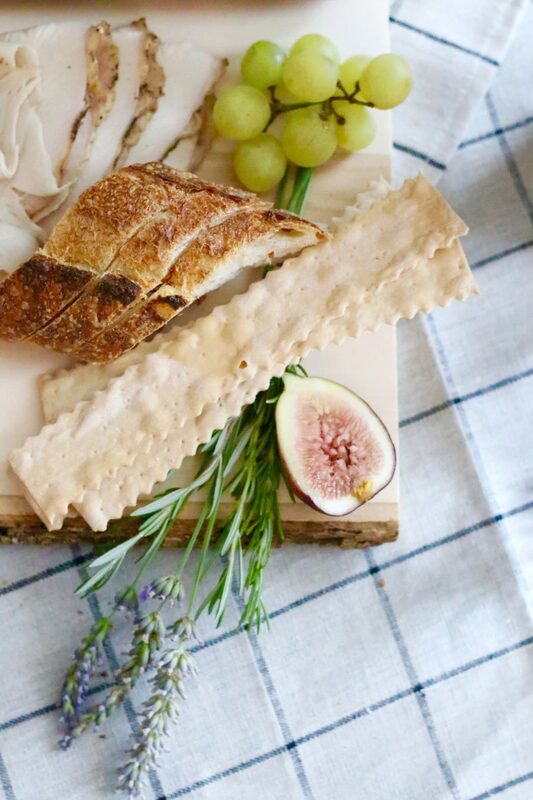 A beautiful sliced baguette, artisan crackers and crostini add so much to the mix here. They are the vehicles to get all this yumminess into your belly! Choose wisely, because these will set the tone for your whole spread. You’ve come so far now, don’t skip on this step, lol! 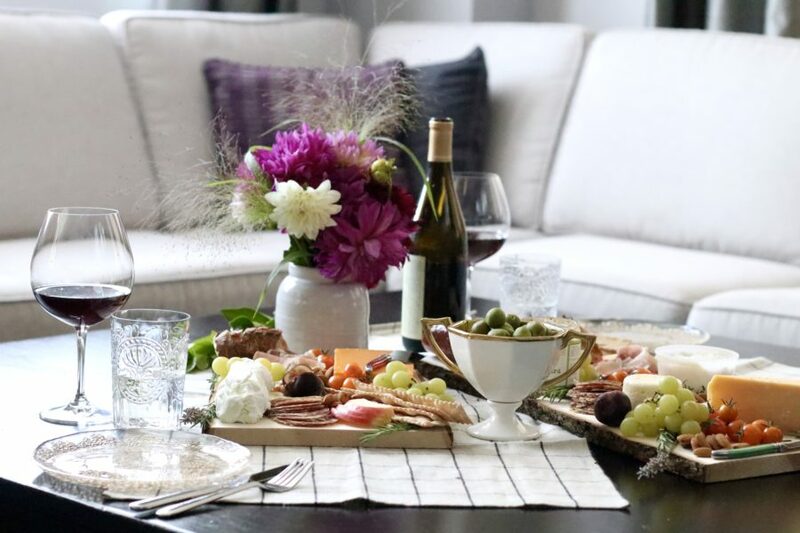 Now it’s time to accessorize your gorgeous spread! Add in some fresh herbs such as rosemary and lavender as I did here. Or some edible flowers can really help elevate the look of your feast!